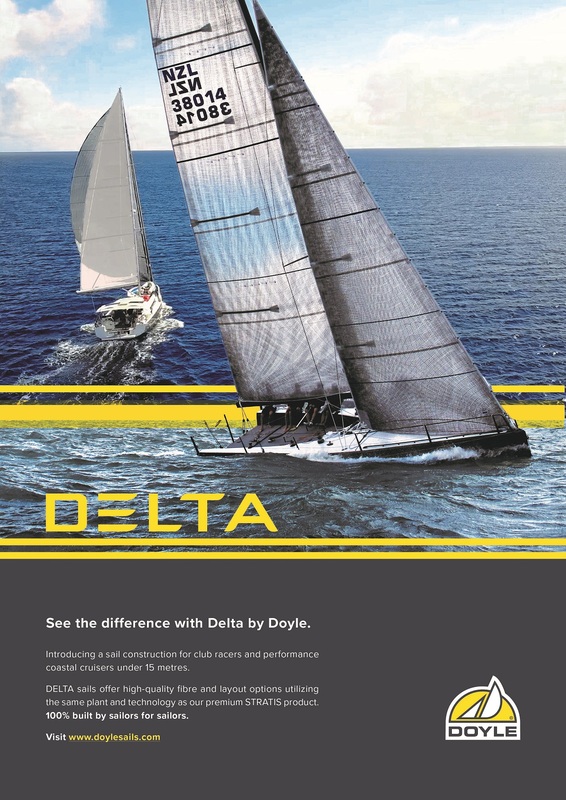 Doyle Sails is thrilled to introduce the latest addition to their performance cruising and racing range, DELTA. Delta’s high-quality fibre options and layouts offer a modern alternative to the traditional paneled sail construction. Utilizing the same plant and technology as their premier product Stratis, Delta customers will reap all the benefits of proven manufacturing processes. The fibres used in Delta laminates will include Black Technora and Carbon as the primary load bearing yarns. Technora fibres are extremely durable and resistant to flex fatigue, whereas Carbon fibre’s have the ability to resist stretch and maintain great shape retention over the life of the sail. With the option for white taffeta or clear UV films, both surfaces will have technora x-ply to counter act off axis loads. As a brand and organisation that prides itself on the ability to provide the best in quality and technology, Doyle also believes in the importance of customer satisfaction. Delta was created to provide a wider range of sail options for our customers. With the understanding that not all boats and budgets are created equally Doyle strives to give our fellow sailors choices to best suit their needs. 100% owned and operated by sailors for sailors.